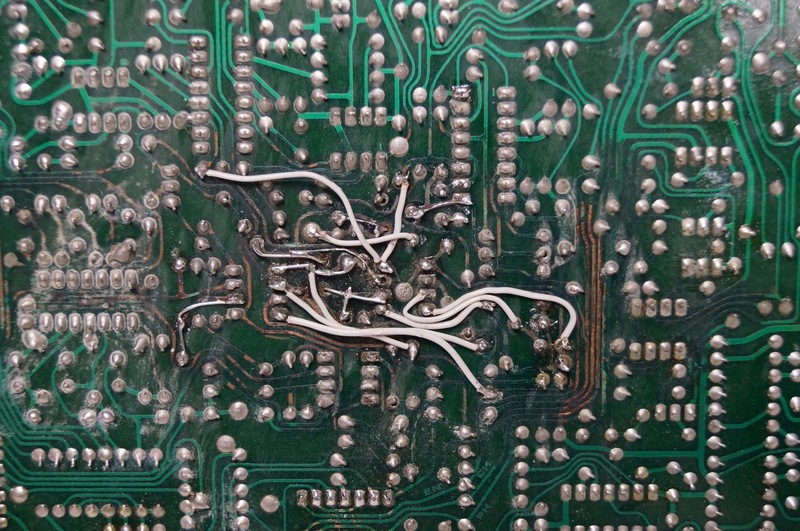 Battery leak of an original NiCd battery in Korg Polysix synthesizer on programmer board KLM-367A (shortly 367A) causes corrosion of vias, parts’ mounting holes, electric traces and electronic components (caps, ICs, transistors and so on). Metal parts are covered with white oxides and blue-green salts. 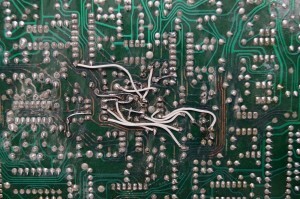 Corroded metal can’t conduct anymore so several block inside the Polysix synthesizer fail. 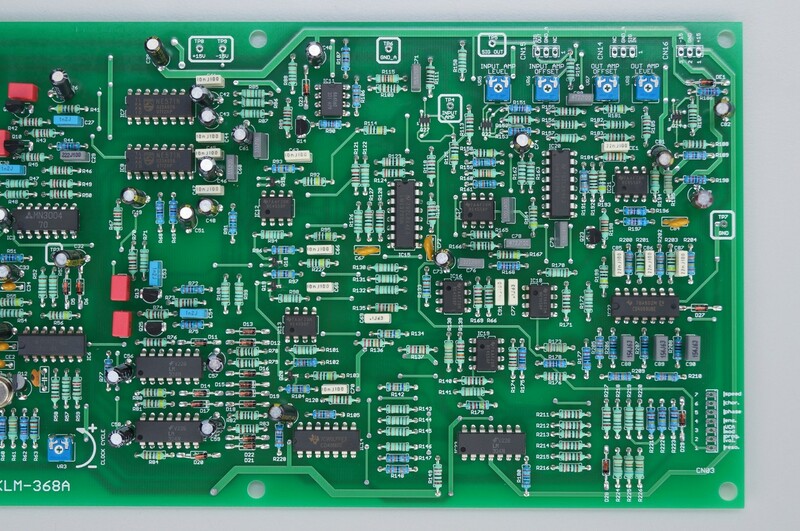 This can also happen to the PCBs that are close to 367A. One of them is KLM-368(A) that is next to 367A on the left side. 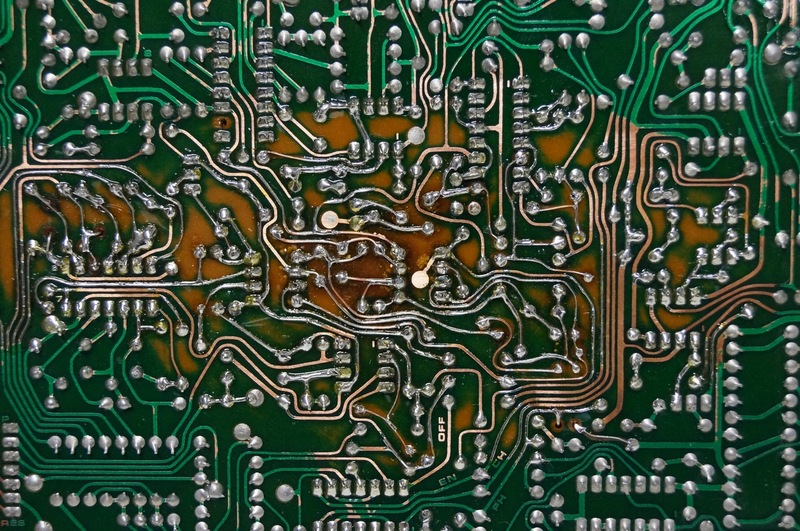 It is a very hard job to repair a PCB affected by battery corrosion. It is necessary to restore all affected traces, pads and to find not working parts (especially ICs). Repair of an original 368A board. 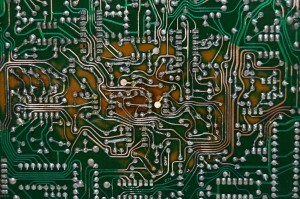 This massive PCB corrosion took 20h to repair. And another 20h to find a source of parasitic click sound. Without any success. After 40h we stopped to look for the fault! 40h wasted! 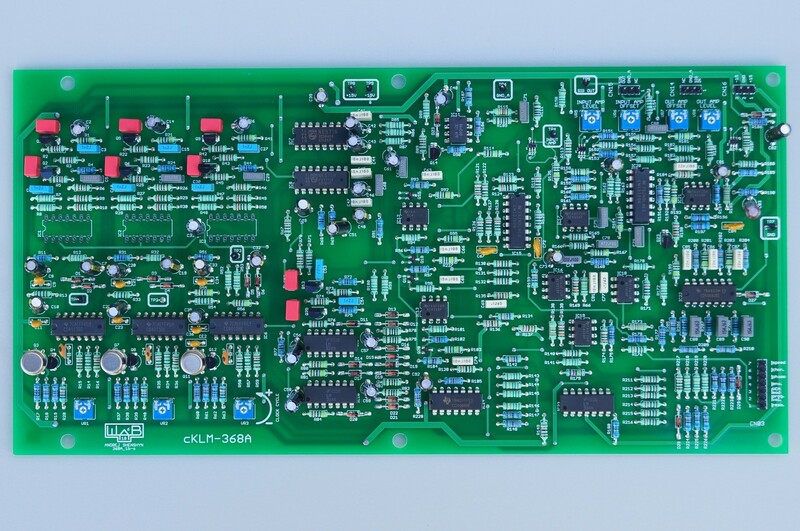 Another solution is to use a cloned 368A, that’s why the name cKLM-368A. 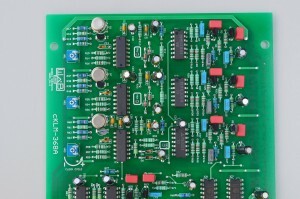 It is almost identical copy of an original 368A board. 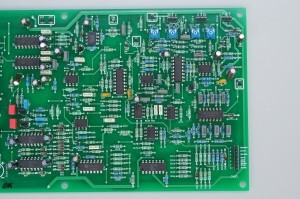 The parts are located on the same place and the board uses the same types of parts. 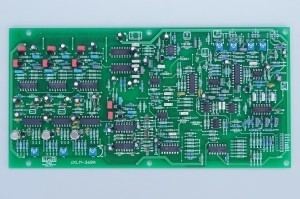 The schematic of the circuit is as original one. 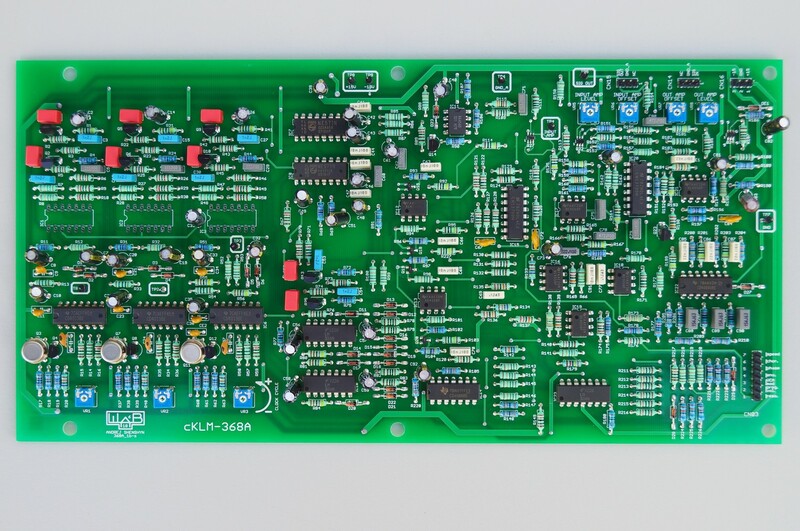 The cloned board can be easily repaired and calibrated in the future using original Polysix service manual. It sounds identical to the original board. 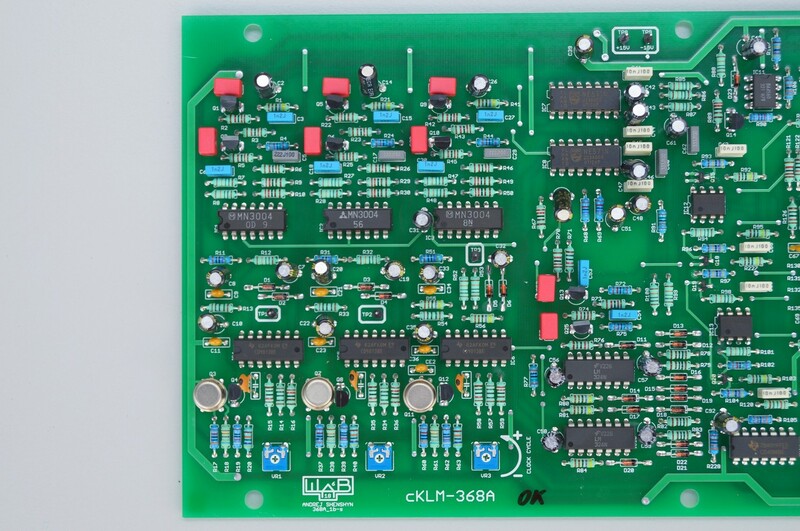 In comparison to the old KLM-368(A) the cKLM-368A is double sided with plated pad holes that ensures great mechanical stability of electrical traces and therefore great electrical connection. 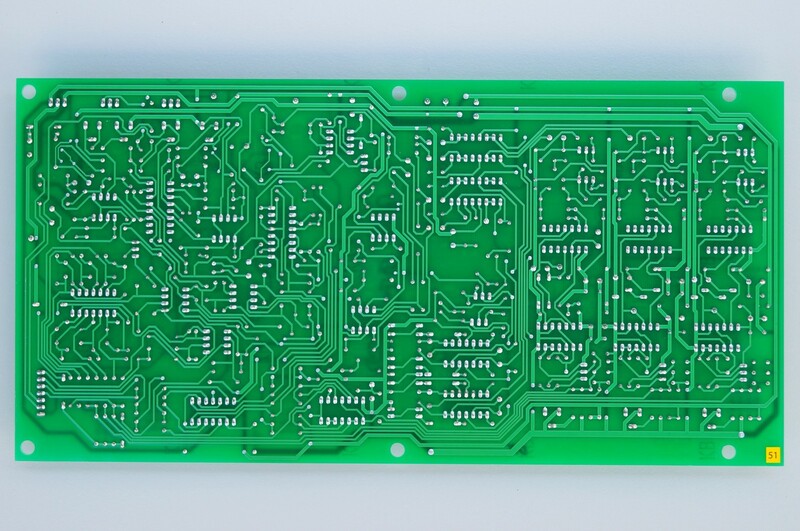 A bad PCB quality of an original 368 board may cause a malfunction because the traces don’t hold strong on the PCB substrate. 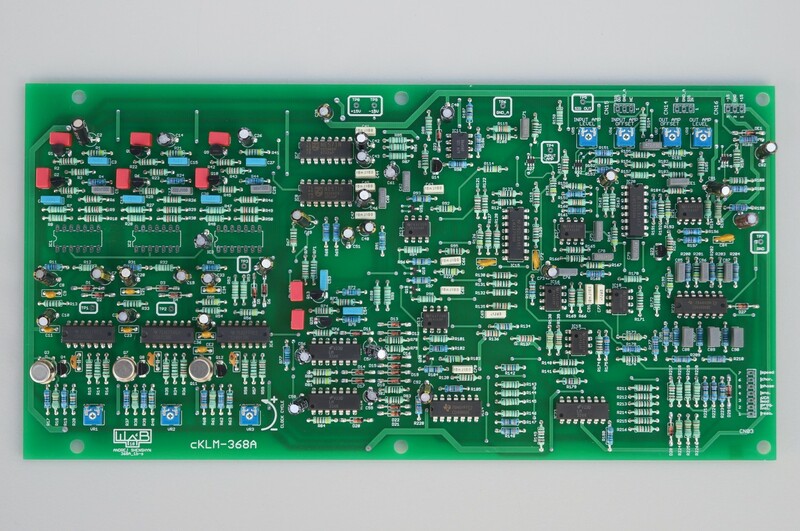 cKLM-368A uses some hard to find parts. 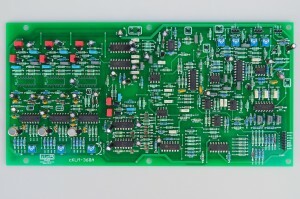 These are original connectors and BBD chips IC1, IC2, IC3 (MN3004). 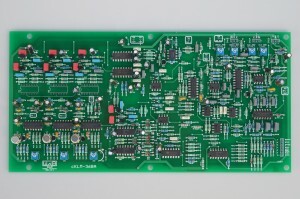 Use original MN3004 from the old board. 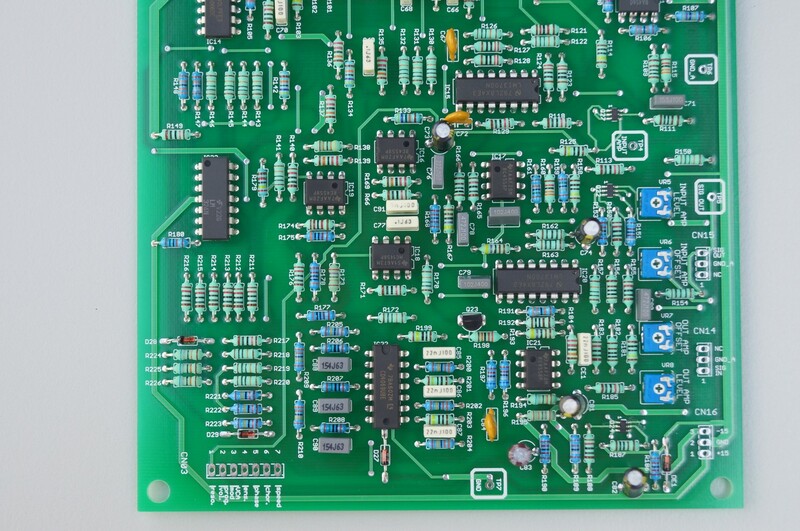 If your MN3004 are faulty or are missing, buy a variation with MN3004 chips. If use of original connectors is desired, order variations „CN blank“ or „CN original“ (see below). 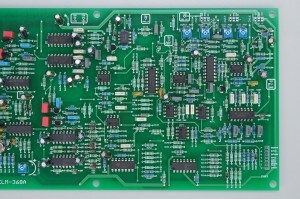 Q15, Q18, Q19, Q20, Q22, Q24 and Q27 were replaced by modern SMD equivalents with same parameters. Q3, Q7 and Q11 were replaced by equivalents in metal can with same parameters. 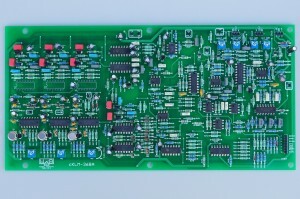 The original jumpers were replaced by upper copper layer, so on the new 368A PCB they are not necessary. Five 368A variations are available (see below). 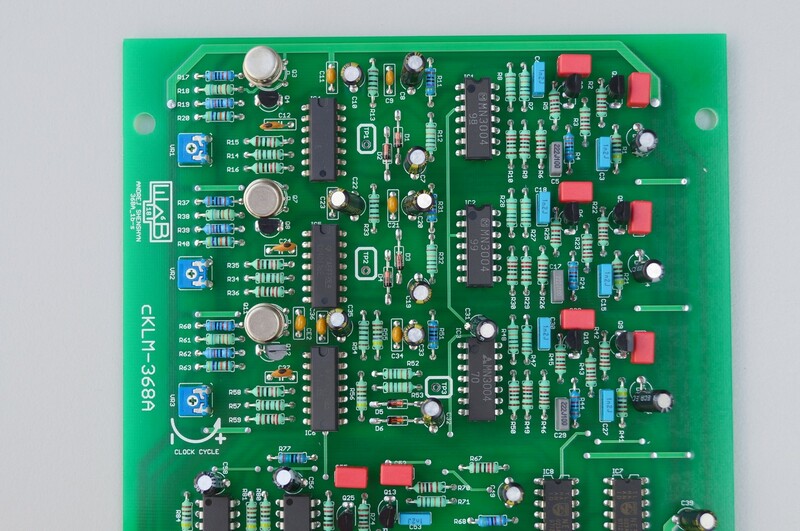 These five variations only differ in what is mounted into connector pads and BBD chips pads. Regardless of a purchased variation all five variations come tested and calibrated to the customer! 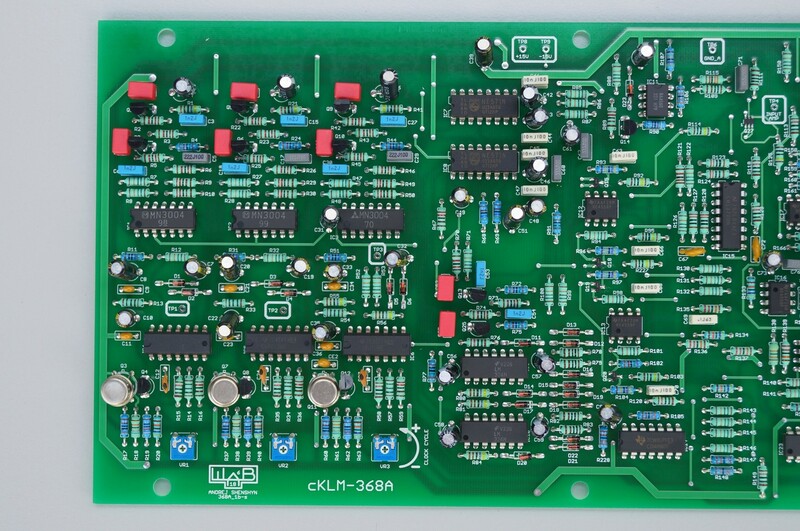 No need to adjust the cKLM-368A board! This variation has free CN and IC1, IC2, IC3 pads. This means nothing is mounted into connector and IC holes. Customer can e.g. use the original male connectors from the old 368 board. 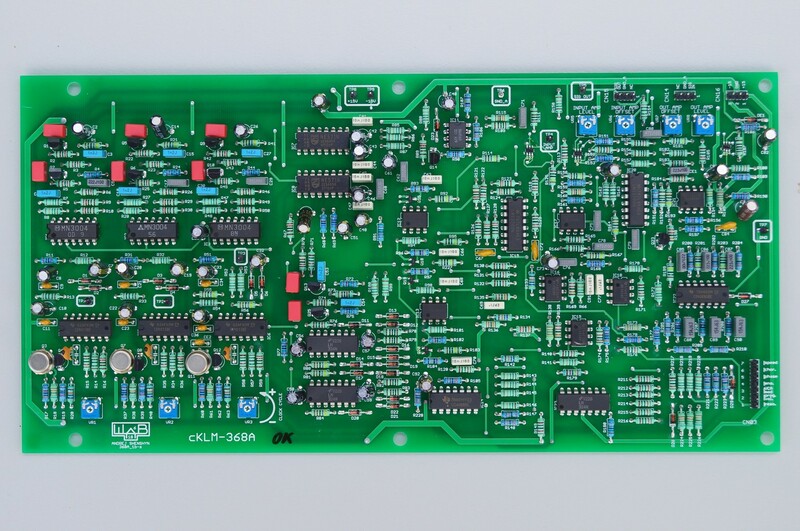 Customer has also to use original and fully operative IC1, IC2, IC3 or get it from somewhere else. 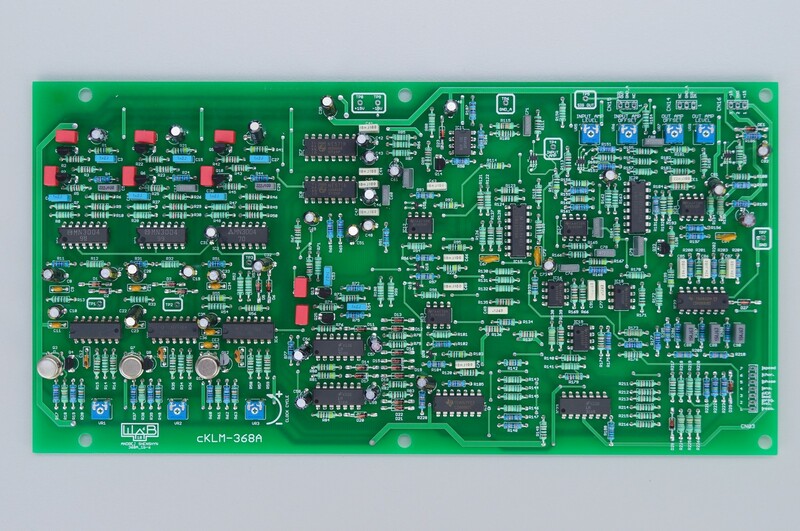 After installing of these parts the cKLM-368A will work fine. Customer has to install male connectors and BBD chips by oneself. This variation has free CN pads. This means nothing is mounted into connector holes. Customer can e.g. 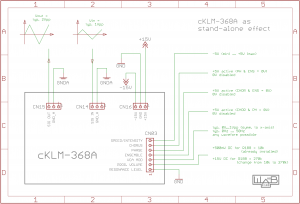 use the original male connectors from the old 368 board. 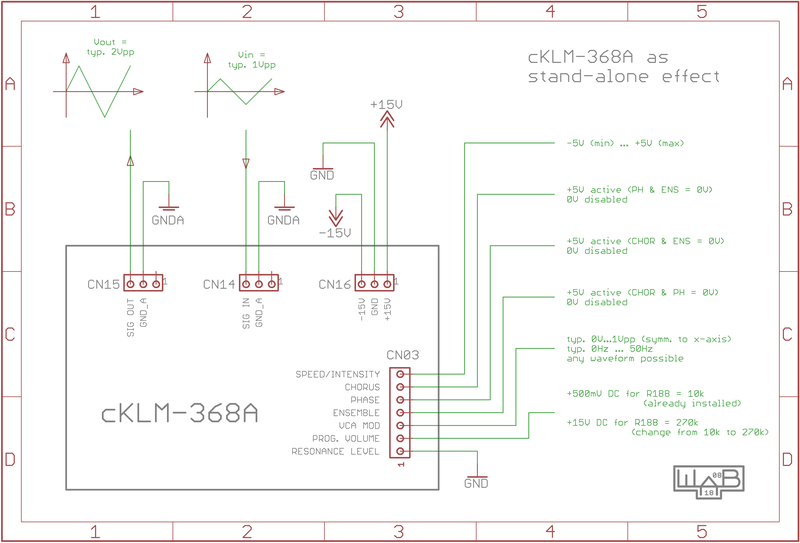 After installing of these parts the cKLM-368A will work fine. Customer has to install male connectors by oneself. 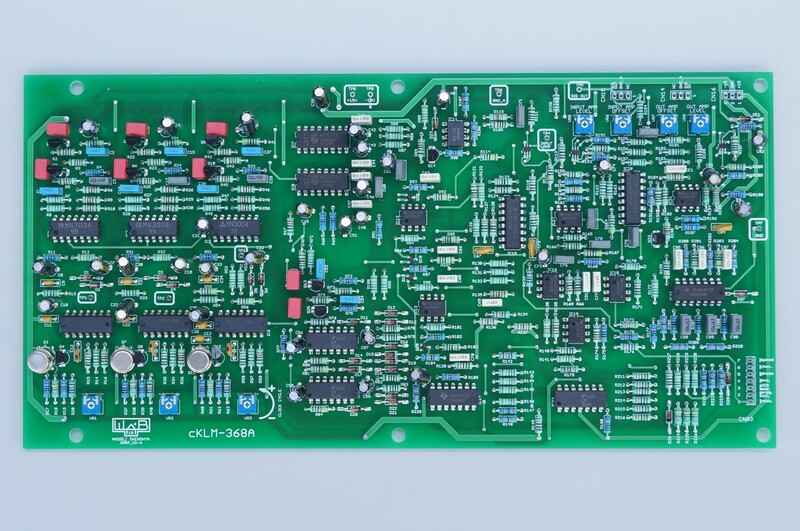 CN blank, BBD blank variation benefits: customer can use own, original connectors. 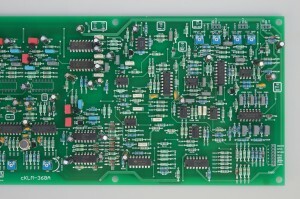 Connector pads are free from solder. BBD chips are included. 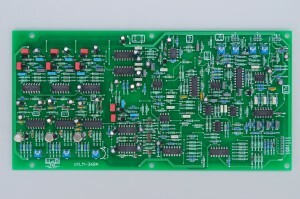 This variation is suitable when building an stand-alone Polysix effect or when replacing an old 368 board with missing/defective BBDs. This variation has free IC1, IC2, IC3 pads. This means nothing is mounted into IC holes. 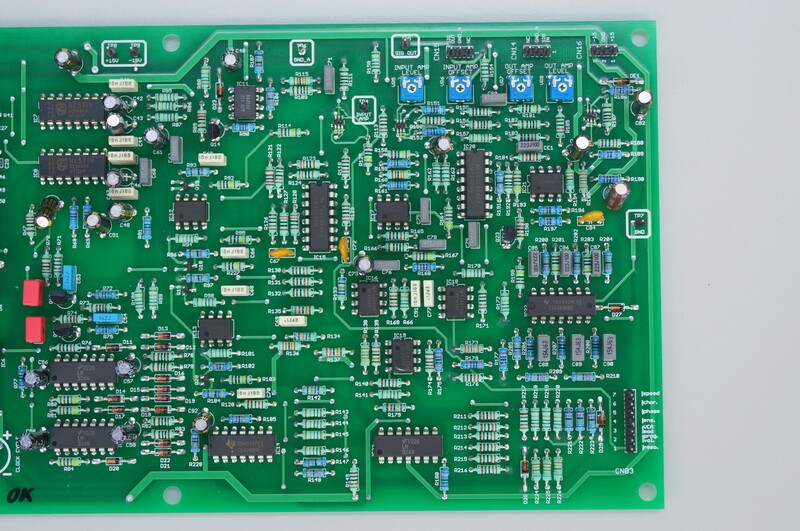 Customer has to use original and fully operative IC1, IC2, IC3 or get them from somewhere else. This variation also uses common pin headers instead of original male connectors. 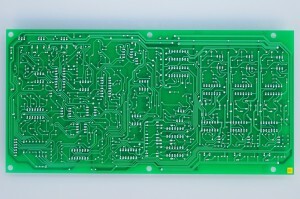 Pin headers are already mounted on the new PCB. 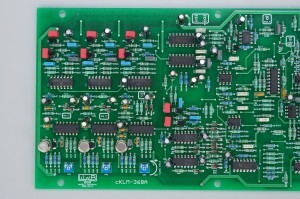 After installing of these parts the cKLM-368A will work fine. Customer has to install BBD chips by oneself. This variation is already populated with BBD chips. 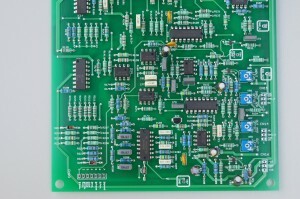 It also uses common pin headers instead of original male connectors. 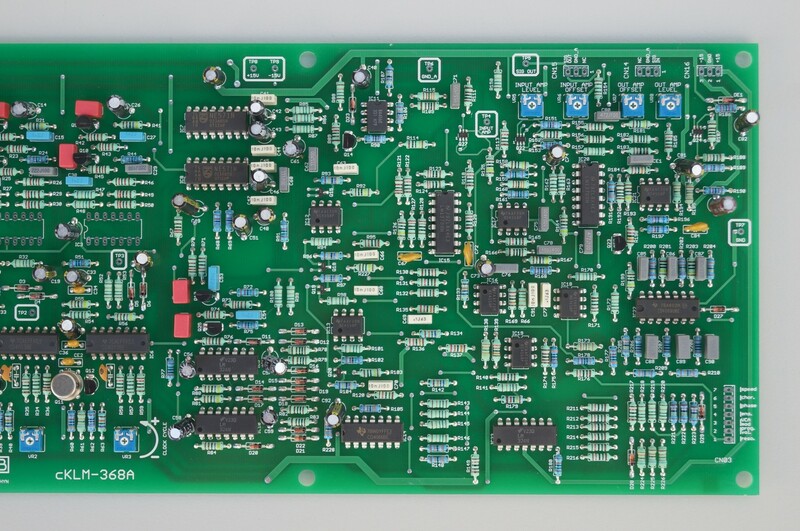 Pin headers are already mounted on the new PCB. The CN pin headers, BBD populated variation is tested and calibrated. 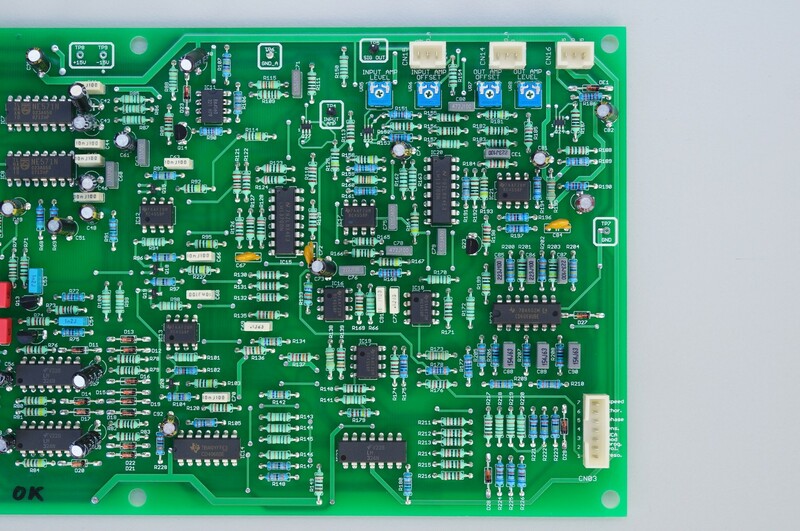 CN pin headers, BBD populated variation benefits: Ready to use 368 board replacement. Plug and play! 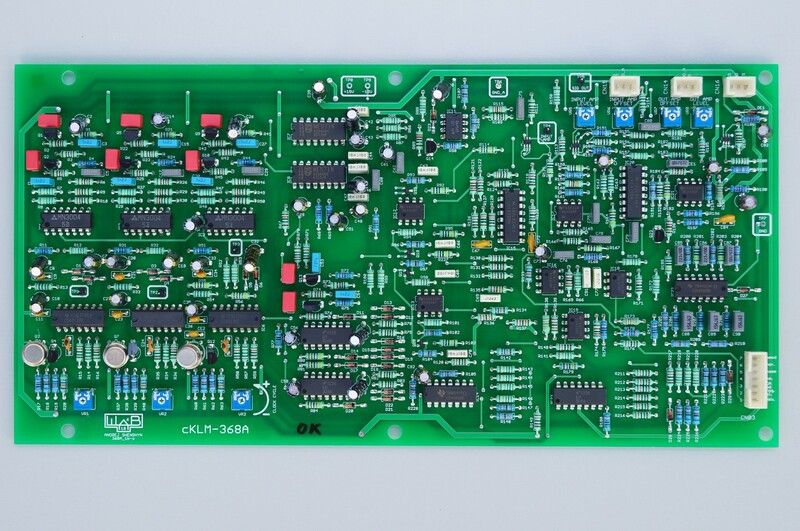 Customer must send an original 368(A) board (address is written in “Impressum”) to us! Don’t forget about tracking number! 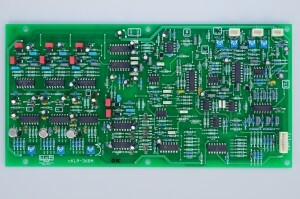 Turnaround 1 or 2 working days starts after receiving of your package with an old 368(A) PCB! 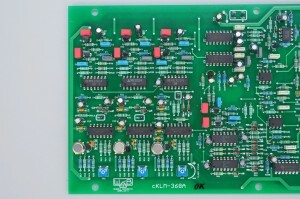 We transplant original connectors and IC1, IC2, IC3 into a new cKLM-368A board. IC1, IC2, IC3 must be in working condition. 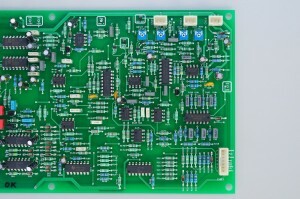 Then we calibrate and test new board.